When you break the law, you get sent to prison. In the Exiled Realm of Arborea, that applies to everyone, from normal citizens all the way up to gods. And when someone attempts to break a fallen god out of prison, it’s up to the players to stop them. Broken Prison is the newest update for TERA, highlighted by a five-person dungeon that features three challenging bosses. In addition to the new dungeon, this update balances the 30-player Harrowhold raid that was introduced late last year and introduces other quality-of-life upgrades. 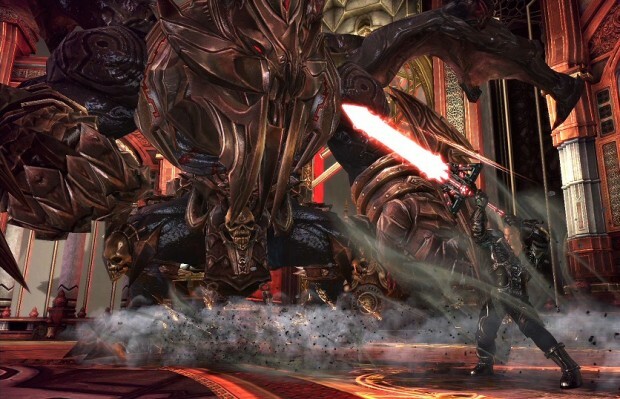 You can check out everything that’s in this update on the TERA site. Our favorite from the patch notes? “We corrected an issue with Bamarama incorrectly refunding bets under conditions other than the world server going down.” That sounds like a typical casino; all bets are final, unless the world comes to an end. Meh. Tera is pretty boring game and you know it! I never tried gameforges version of tera online personally but I did try some of their games and it was god awful it was one of the worst experiences in gaming I had. I’m just glad Enmasse operates in my country so I don’t have to deal with their BS on tera online. But I feel bad for the people who got stuck with gameforge and gotta deal with their p2w and greed and horrible servers and ect. Hope you will be spared from them one day. I live in Europe and I was so sick of Gameforge so I now play on the American servers instead but I can live with 130-140 in ping. I wish more MMOs would add a prison like this I think it would benefit everyone if the bad players went to jail. Sure some good players might make a mistake and goto jail but even if we are online it doesn’t mean the rules doesn’t apply because the rules online still applies just like it applies to us in real life. I hope more MMOs apply this prison to their games especially GTA online. I think you misunderstood something here. This is a new dungeon with bosses and etc. that is themed as a prison, it’s not a punishment prison for players or something like that. It is? Well even if it is or not I still stand by what I say all MMO games need to start adding a punishment prison I think it will benefit the MMO communities.